LOOK WHO’S A BRAND NEW PRIVATE PILOT!!! Posted by Valdosta Flying on Oct 10, 2012 in Blog Posts | Comments Off on LOOK WHO’S A BRAND NEW PRIVATE PILOT!!! Brand new Private Pilot certificate in hand! This was taken right after Blake passed his check-ride. CONGRATULATIONS BLAKE! Great work. Whats learning to fly like? Posted by Valdosta Flying on Sep 26, 2012 in Blog Posts | Comments Off on Whats learning to fly like? Posted by Valdosta Flying on Aug 23, 2012 in Blog Posts | Comments Off on Truly remarkable HD video of B-17 & B-25! LOOKS WHO’S A BRAND NEW PRIVATE PILOT!!! 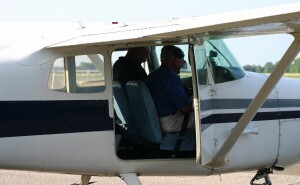 Posted by Valdosta Flying on Aug 21, 2012 in Blog Posts | Comments Off on LOOKS WHO’S A BRAND NEW PRIVATE PILOT!! !